Top sites for free giveaways! There are countless pirated software download sites on the internet to download premium software illegally. Likewise, popular torrent sites offer cracked software for free. Apart from being illegal, such activities put you at the risk of notorious malware and viruses. So, instead of taking a walk down the dark alley of torrents and malicious websites, take a look at our list of safe software download sites to download full version software for free and legally. SharewareOnSale is one of the best free software download sites and provides multiple paid software for free every day. The site not only provides full version software for free but also offers discounts on software. Paid programs are available for free for both Windows PC and Mac. They also host Android and iOS full version apps for free or at discounted prices. At the time of publishing this post, itransGo is being offered for free on this site. 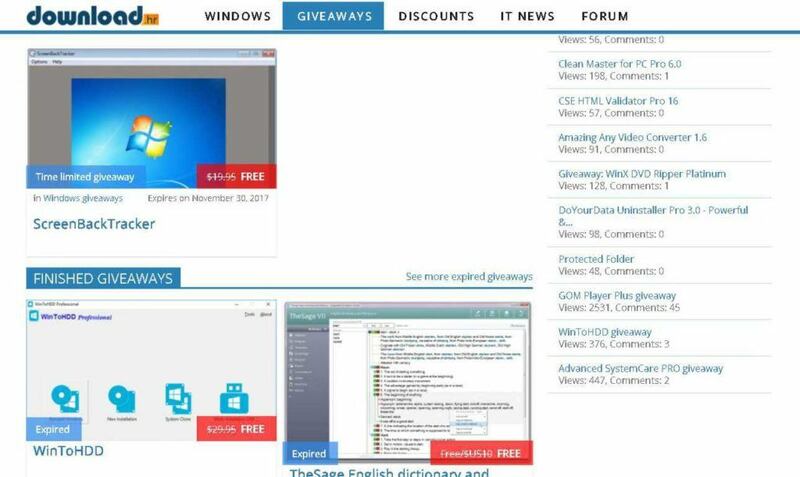 On the product giveaway page, there is a big list of free software for you to download and try. GiveAwayOfTheDay have been providing paid PC software for free to its users for more than 5 years. They offer one or two software every day. Software that are offered here are available for download for a period of 24 hours and are absolutely free for that time, i.e., the version of the software offered is not a trial version but a registered full version. This website can turn out to be useful when you need a particular software but you don’t wish to spend a lot on it. The website also provides reviews of the software they offer and other software from that publisher. 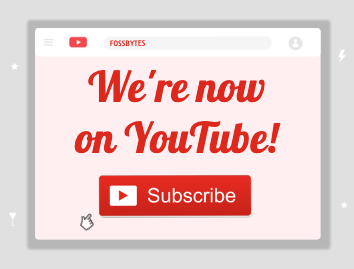 Subscribers get notified of giveaways in their newsletter. They also offer Andriod and iOS apps for free. 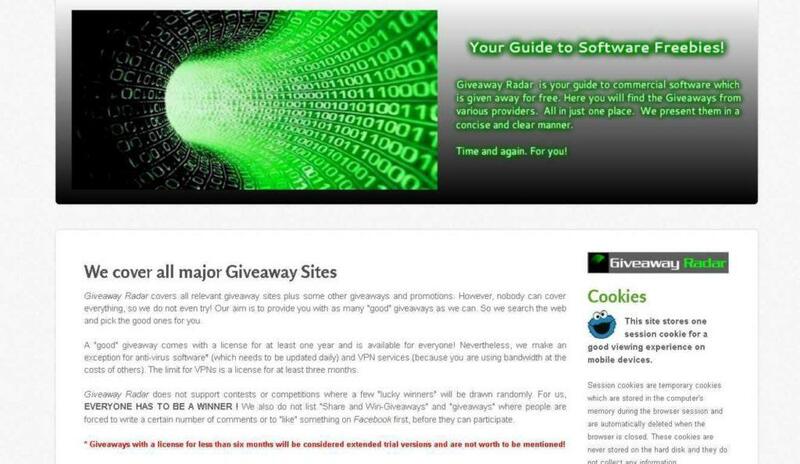 Giveaway Radar is your go-to site if you are looking for PC software giveaways in 2019. Here you can find software from various safe download sites and from different providers, all in one place. 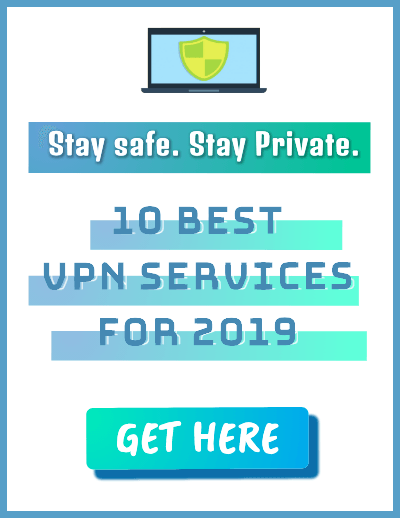 However, they do not cover anti-virus and VPN giveaways. So, Giveaway Radar is not a free software giveaway site in itself but shows links and descriptions to giveaways throughout the web. Keep it bookmarked as it gives you a quick view of all the on-going giveaways on various free software download sites. 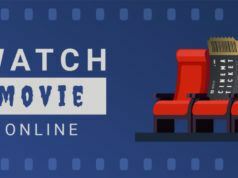 The website also has a category of long-term giveaways that you can check out. 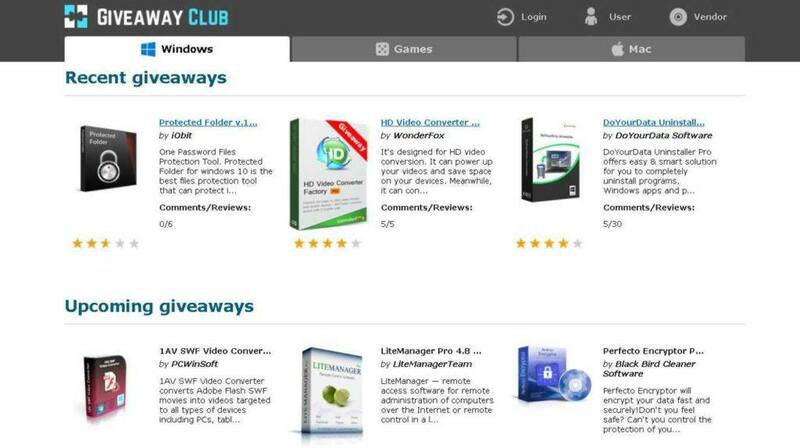 Giveaway-club is another best and free PC software site that offers licensed Windows software for free but without technical support. 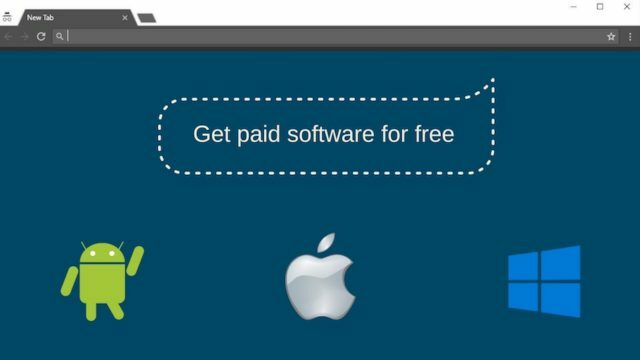 Software are offered free only for a limited time for a day or two. You can activate the license of the software only if it’s installed on the correct date. 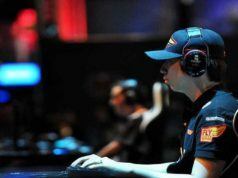 All the software are divided into three categories: Windows, Games, and Mac. Depending upon your need, you can choose the options and grab the software of your need. 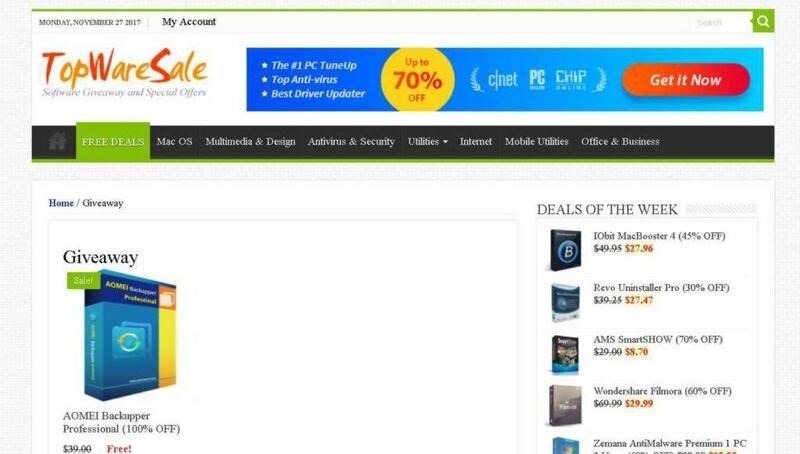 TopWareSale offers full version software giveaway and discounts daily. You can buy top-rated programs at the lowest prices, and they even provide premium software for free. Software are available both for Windows and Mac OS. These software cover different categories like multimedia, design, antivirus, internet, office, business, etc. Apart from the daily free giveaway, you can also check out other heavily discounted tools. Its giveaway section is categorized into Security, Utilities, Audio/video/photo, Backup & Recovery, Servers, and development so that you can easily browse it. Apart from Windows and mobile, they also have a “Giveaway for Mac” section. Tickcoupon provides coupon codes that offer discounts for programs and giveaway deals. 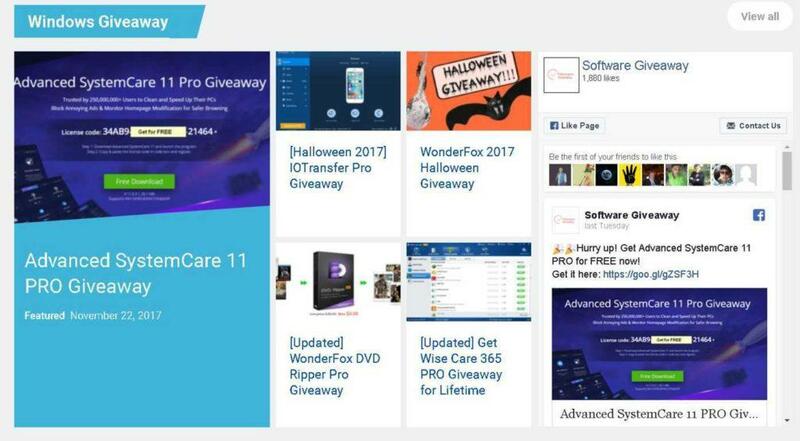 This giveaway website also publishes news from software developers regarding promos and deals on software. Techno360 also offers full software for free. It is among the safe download sites that offers software for Windows and Mac. They usually provide a single-user license for up to a year for the software. 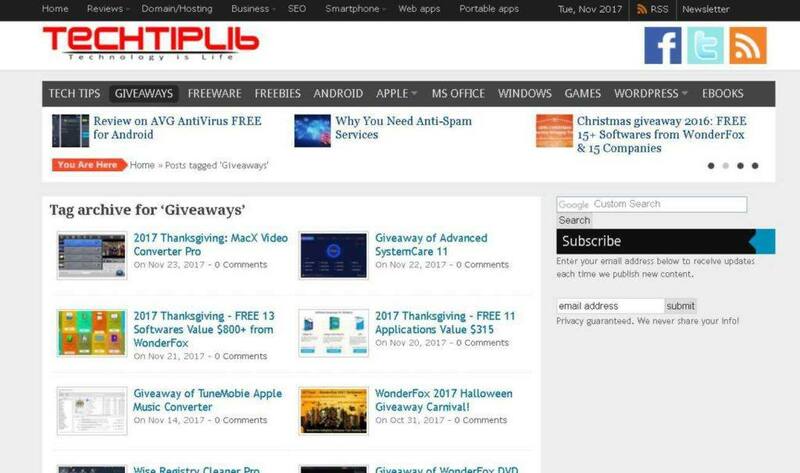 TechTipLib also provides free full version software for download, and their giveaway can last from days to a month. But to avail their offers, you have to like TechTipLib’s social accounts. It is not only a free software download site but also has over 6,700 articles on topics such as Windows, Apple, iPhone, iPad, MS Office, freeware, SEO, WordPress themes, ebooks and much more. It is primarily a software and game giveaway site where you can find paid software free or at a discounted price. They host giveaways for Android, Mac, Windows, and iOS. Users use their forum for discussions on giveaways and offers. Most I want is another free software download website that stacks a good list of paid software. The website holds different kind of Windows and Man paid software such as system utilities, video and image software, security software, games and more. 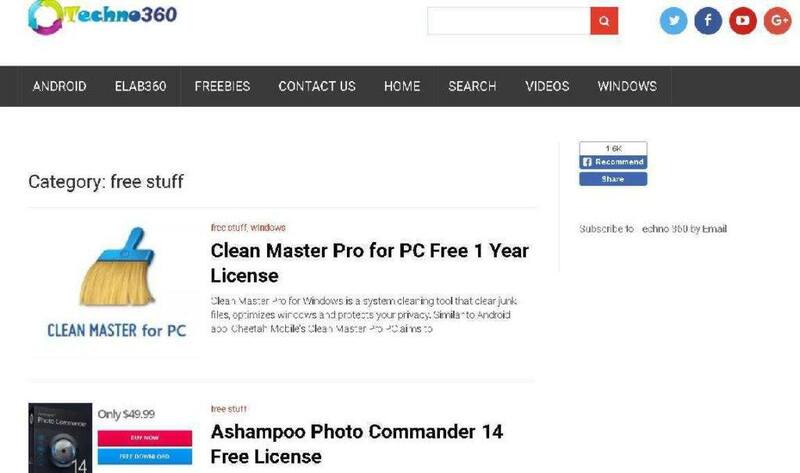 The site also organizes free license giveaway for software. For instance, the last one was for the AVG Internet Security software where the website offered 1-year free subscription. While the navigation and interface are user-friendly, it has a Google custom search for search queries, making it difficult for users to search for specific cracked software. MalwareTips is one of the best websites when it comes to free and best-cracked software for download on Windows PC. 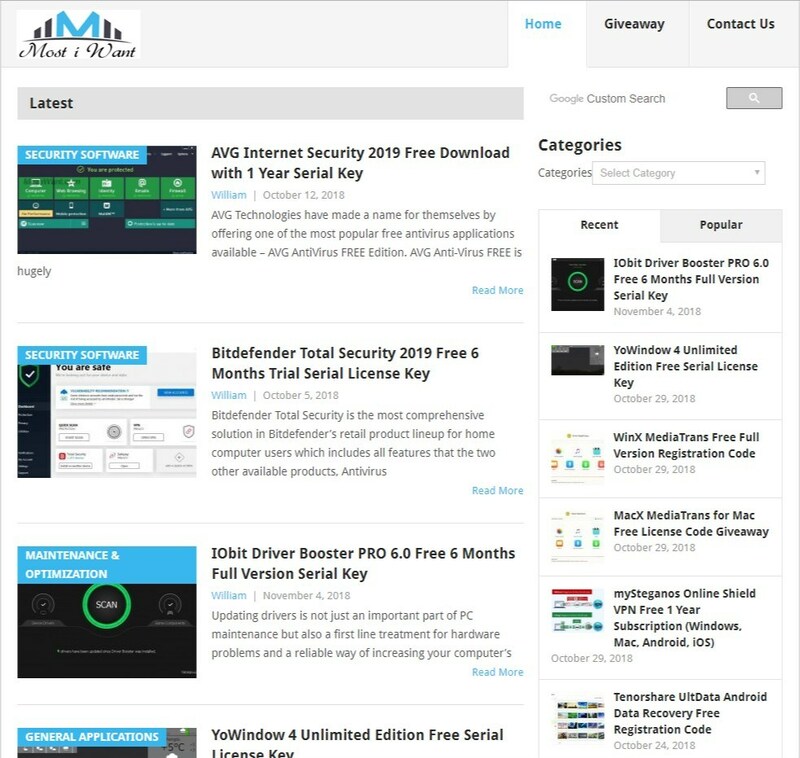 Unlike other sites, MalwareTips is a forum website which includes different types of content like Tech News, Reviews, malware samples and more. 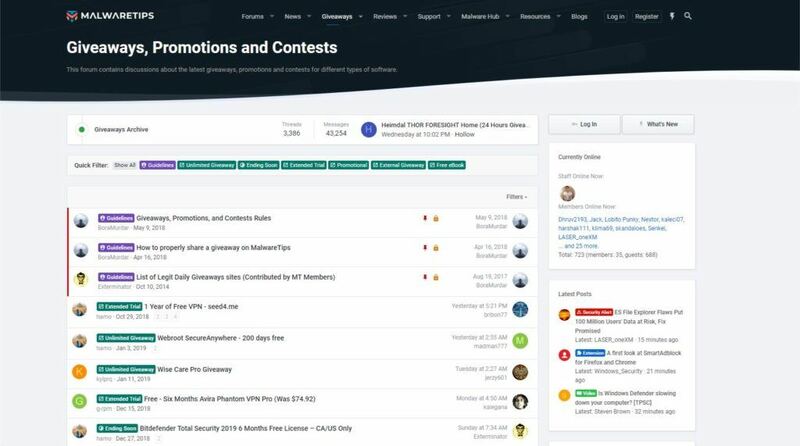 It has just started a giveaway forum where few registered users have started posting a giveaway for security-related software and more. Are giveaway cracked software safe? Well, it depends upon the hosting website. However, most of the times you can tell by the content that the giveaway software is probably a hoax. Keep this in mind when the hosting site is a forum where different people are offering up paid software for free. Did you find this list of 9 best websites to download paid PC software for free to be helpful? Let us know in the comments.